Oppositional defiant disorder is a childhood disorder defined by a pattern of hostile, disobedient, and defiant behaviours directed at adults or other figures of authority. 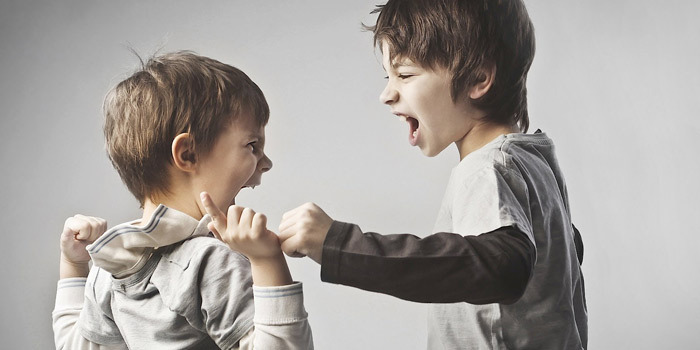 All children have some type of defiant behaviour throughout their childhood years but children with ODD display behaviours more commonly than on average. There are various behavioral symptoms of ODD including easily losing one’s temper/throwing repeated tantrums, arguing, fighting, refusing to follow rules, deliberately acting in a way that will annoy others, blaming others, blatant hostility towards others, being unwilling to compromise or negotiate, willingly destroying friendships, being spiteful and seeking revenge, and blatant and repeated disobedience. Medications are usually not used for ODD unless the child has another mental disorder. Instead, parent training is often used which is a way to help a parent develop skills that are positive and less frustrating for the child. Parent-child interaction therapy (PCIT) is also used and involves a therapist coaching parents while they interact with their child. As well, individual and family therapy is used which may help the child learn how to manage anger and express feelings in a more healthy manner. To be eligible for this tax credit, a person must be impaired for over the period of one full year. They can also be eligible if they have difficulty in one of the following daily life activities, such as walking. For a walking impairment, the patient must be unable to walk 100m (a city block) or it must take them an inordinate amount of time (3 times longer than normal) to do so due to shortness of breath. To apply for this tax credit Form 2201 entitled “Disability Tax Credit Certificate” it must be completed by a registered medical practitioner. This tax credit is only available to those who have taxes payable. This form must be completed by a registered medical practitioner. Qualified registered medical practitioners include a medical doctor, physiotherapist, optometrist, psychologist, occupational therapist, speech-language pathologist, and audiologist. Disability Tax Credit Consultants at DCC can help to claim this tax credit and collect up to $40,000 in disability tax credits.